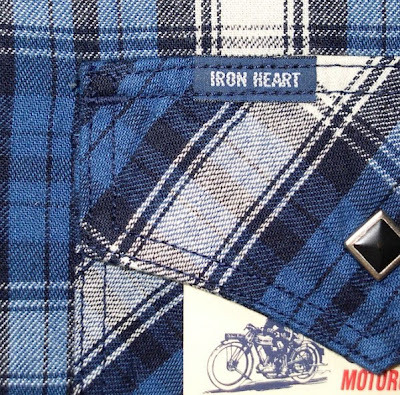 New in the DC4 online store: two classic western-stye shirts by Iron Heart. 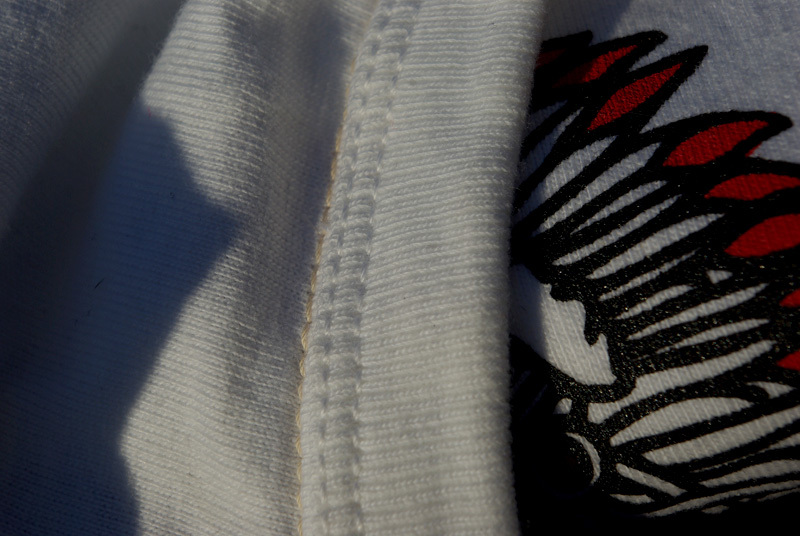 Made of lightweight cotton, these shirts are perfect for spring and summer. Both shirts are of corse made in Japan, and dyed with indigo, so they will fade over time. The buttons on these Iron Heart's are black diamond shaped snaps. Available in sizes M - XXL in blue and in red. The frame (from a 1955 Harley Davidson) begin chopped into the skinny model she'll be once again. ...make a decision and go for it! Back in the days the machines were widely used, also in the USA. The process of creating a loop-wheeled garment takes a lot longer than any other machinery, so it was just a matter of time before they were replaced with faster ones. Around the 1950's many factories chose for mass-production, so the machines had to go. The loop-wheeled machines knit the fabric in a tube-like way, where the only tension on the threads used is plain ol' gravity. This results in a fabric that has basically no tension on the threads, which gives the garment a very soft feel and makes it a lot more durable than modern fabrics, and it's also able to retain the original shape a lot better. Because of the slow production process, loop-wheeled clothing is automatically more expensive than regular sweats and tees. 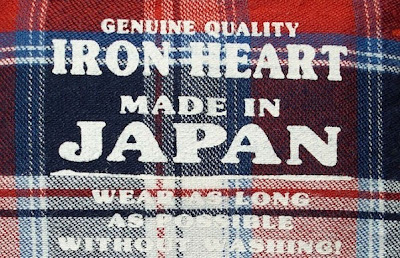 Nowadays almost all of the loop-wheeled fabrics are produced in the Wakayama prefecture in Japan (which is close to Osaka). 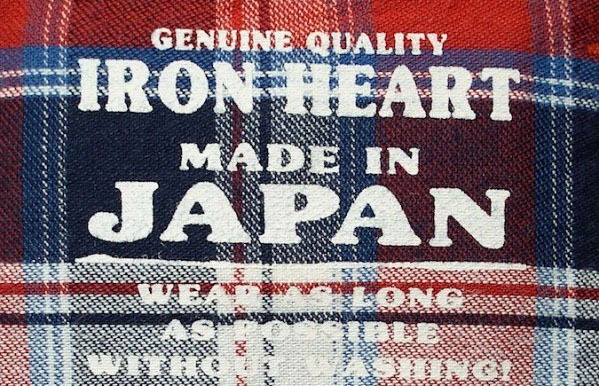 It's one of the few places where true authentic goods are still made, like the products from The Flat Head and Iron Heart that we carry. They truly have that vintage feel to them and look like the garments your parents or grandparents used to wear in the in the first half of the 20th century!